Barcelona coach Ernesto Valverde believes Real Madrid are enjoying one of their best periods of the season ahead of the teams' Copa del Rey semi-final first leg next week. But their opponents have found form in recent weeks. Santiago Solari's side have won six out of their last seven matches in all competitions. "We see it as very even," Valverde said at a press conference on Friday. "In the league they arrived at a complicated time for them psychologically but now they are in a different moment, with more confidence. "They are much better, getting better results and that changes a lot. A bit like Valencia tomorrow, we play them in one of their best moments of the season." Valverde has rotated key players in the Copa del Rey this seaso and suggested he could do so again, admitting "we cannot neglect our job in La Liga". 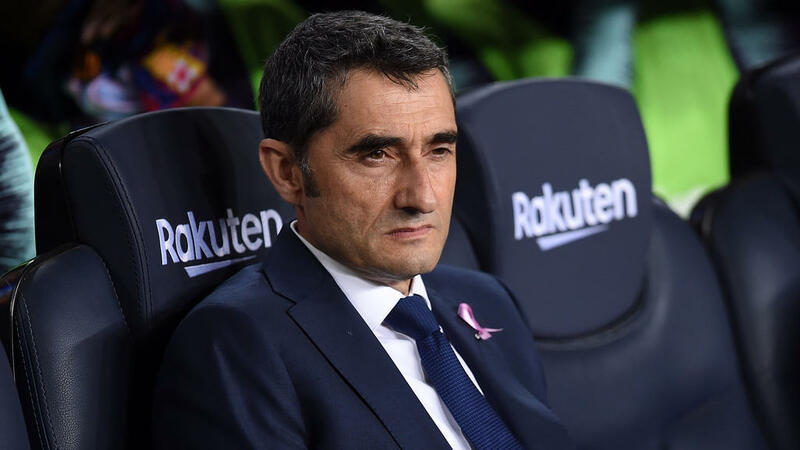 "They are two great matches that come at a time when both teams are fighting for the top spots in the league and at the same time as the Champions League gets going again too," Valverde said. "It is a lot of important matches but we know that they are exciting for people, also for us, and it's a great semi-final. Let's see if we can make it through." "I don't know, we will evaluate him on Monday to see how he is," Valverde said. "We thought for next week he could be available but I don't know. On Monday we will have an answer." Barcelona also unveiled new signing Jean-Clair Todibo on Friday after the 19-year-old's summer move from Toulouse was brought forward. "He's a signing for the future," Valverde said. "But given his situation at Toulouse, it was decided he could join us now with the idea of settling in with his new team-mates."